Stoltmann Law Offices is interested in talking to those individuals who may have investment losses in FS Energy & Power Fund, which is a business development company (BDC). According to the company’s website, it is a non-traded BDC that invests primarily in the debt, and, to a lesser extent, equity securities of private U.S. energy and power companies. This is a non-traded product so there is no market pricing for the value of its securities. 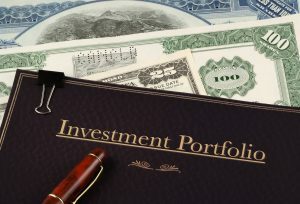 BDCs, much like direct participation products (DPPs), real estate investment trusts (REITs), private placements and others, are alternative investments that may not be suitable for all investors because of their highly illiquid and risky nature. A broker must only recommend those securities that are suitable for his clients by taking into account their age, net worth, investment risk tolerance and other factors. If he does not, his brokerage firm may be liable for losses. Investments like FS Energy & Power Fund are in the oil, gas and energy sector, which, by nature, are highly risky and illiquid funds only for sophisticated investors who can withstand much risk. They are typically not suitable for the unsophisticated investor who cannot withstand risky investments. The attorneys at Stoltmann Law Offices continue to investigate ARC New York City real estate investment trust (REIT). The ARC REIT seeks to provide investors with a combination of current income and capital appreciation through strategic investments in high-quality commercial real estate located within the five boroughs of New York City, mainly Manhattan. Its three primary objectives are to preserve capital, pay monthly stable cash distributions, and increase the value of assets in order to generate capital appreciation. According to secondary market sources for non-traded REITs, shares of ARC are currently at $11.02 per share, which is much lower than its sale price of $25 per share, when the stock issued shares to investors. Non-traded REITs such as ARC tend to be highly risky and illiquid investments that are not suitable for all clients. Your broker must take into account your age, net worth, investment objectives and investment sophistication before recommending or selling securities, and, if he does not, his brokerage firm may be liable for investment losses. If your broker sold you ARC stock, you may be able to recover your losses in the arbitration forum on a contingency fee basis. Did your broker recommend you invest money in Validus Mission Critical REIT II? Validus is a non-traded, publicly registered REIT that intends to employ a long-term, net lease strategy in order to help mitigate risk, provide greater certainty of rental income and maximize value for fund shareholders, according to its website. Earlier this month, the REIT reclassified 75 million total shares of authorized but unissued Class A, Class I and Class T common stock. These are Regulation D private placements, and like most REITs, are not suitable for all investors. They are typically sold as unregistered securities. This means they lack the same regulatory oversight as more traditional investment products like stocks or bonds. Brokers at brokerage firms must take into account client age, net worth, investment objectives and sophistication before recommending or selling a product, most specifically a REIT. If you lost money with Validus REIT, please call our law offices based in Chicago, Illinois to speak with an attorney about how you may be able to sue your brokerage firm on a contingency fee basis for money losses. The call is free. Stoltmann Law Offices is investigating Charles Wiggle Jr., a current registered broker with Peak Brokerage Services. Mr. Wiggle was accused of recommending unsuitable investments in speculative securities such as Behringer Harvard Strategic Opportunity Funds and US Energy Platinum Energy Partners. Real Estate Investment Trusts (REITs) such as Behringer Harvard and oil and gas and energy securities such as US Energy can come with high costs for investors and have historically underperformed. These investments are only suitable for a handful of investors and may not be suitable for most. Mr. Wiggle and his firm, Peak Brokerage Services, have an ironclad obligation to only recommend and sell those securities that are suitable for clients. 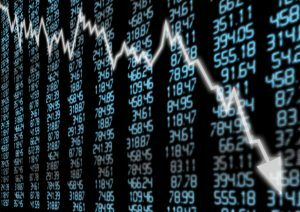 If they do not, clients can sustain large losses and the brokerage firm may be liable for them. Please call our Chicago-based securities law firm today in order to have a consultation with an attorney. There is no cost and no obligation. We bring claims against firms on a contingency fee basis only. Have you suffered losses with Hines REIT? If so, the attorneys at Stoltmann Law Offices may be able to help you recover those losses. 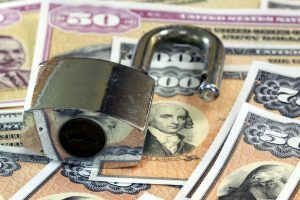 We may be able to file a Financial Industry Regulatory Authority (FINRA) Dispute Resolution arbitration claim against the brokerage firm that sold you that investment on a contingency fee basis. Hines Real Estate Investment Trust (REIT) is a non-traded REIT, which invests in commercial real estate with a focus on multifamily properties. In November 2016, it filed its article of dissolution and had plans to liquidate. There may be potential fraud claims associated with Hines, and REITs tend to be risky and illiquid investments. A broker with a brokerage firm has an ironclad obligation to only recommend or sell investments that are suitable for clients. If he does not, his firm may be responsible for losses. Please call 312-332-4200 for a free consultation with one of our attorneys about your losses with Hines REIT. Did you invest with New York REIT, formerly American Capital New York Recovery REIT? 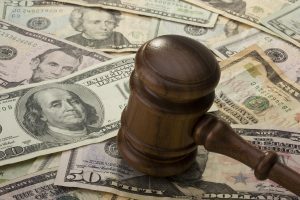 If so, the attorneys at Stoltmann Law Offices may be able to help you recover those losses in the arbitration forum on a contingency fee basis. New York REIT is a publicly traded real estate investment trust focused on acquiring and operation commercial real estate in New York City, according to their website. Its former founder, Nicholas Schorsch, allegedly became involved in a scandal in 2014 over accounting inaccuracies. He resigned that same year. The company owns 19 commercial real estate properties including office and retail properties. Please call our Chicago-based law firm at 312-332-4200 today if you suffered losses with New York REIT. The consultation is free with no obligation. 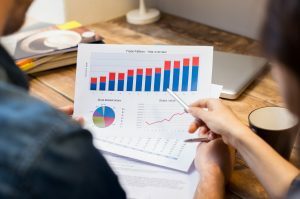 According to a recent InvestmentNews article, Brian S. Block, former Chief Financial Officer at American Realty Capital Properties Inc., now known as Vereit, was charged with overstating financial performances at the company. The Department of Justice and the Securities Exchange Commission (SEC) also charged him with overstating the financial performance of the company by purposefully inflating a key metric used by analysts and investors to assess the company. 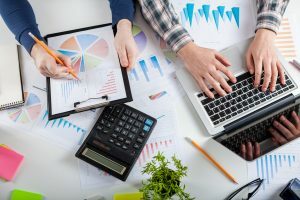 Allegedly, Block and another chief accounting officer, Lisa McAlister devised the scam to manipulate the calculation of the real estate investment trust (REIT’s) adjusted funds from operations. Mr. Block was arrested Thursday morning on conspiracy, securities fraud, and other charges. Ms. McAlister pled guilty to one count of conspiracy to commit securities fraud, one count of securities fraud, and one count of making false statements. REITs tend to be very risky and illiquid investments that are not suitable for all investors. If you were recommended and sold the Vereit non-traded REIT, and lost funds, you may be able to recover them in the Financial Industry Regulatory Authority (FINRA) by suing your brokerage firm on a contingency fee basis. The call to us to discuss your options with an attorney is free, so please call today. 312-332-4200.